Horsetooth Reservoir at Lory State Park is the place to go to beat the summer heat. An early morning romp with Diego & Daisy started my day last Tuesday. By 9:00 we arrived at the trailhead and meandered our way to a shady area. They knew tennis balls and splashing in the lake were next on the agenda but tried so hard to pose patiently for formal portraits. 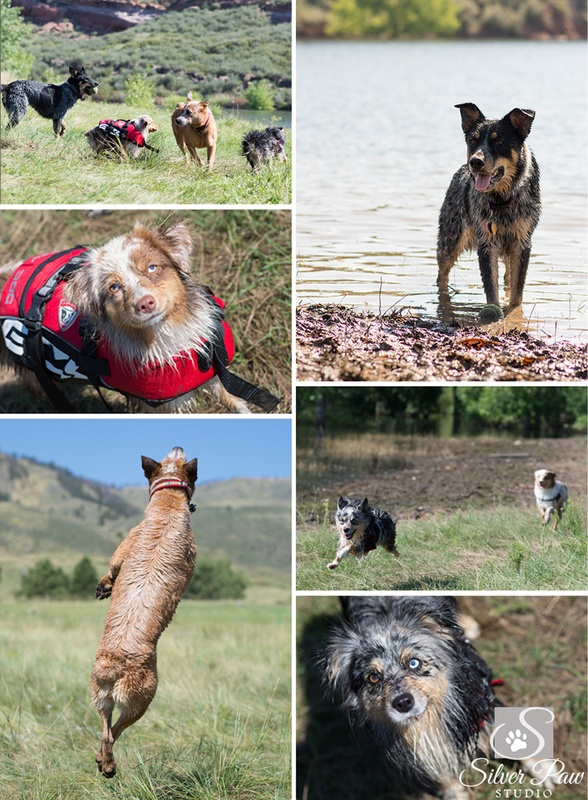 We wanted the dogs clean and dry for these images before letting them loose to run in the mud! Being the well-mannered pups they are the formal photos only took a few minutes. Daisy is a new addition to this family but quickly took her place as little sister to Diego. Don’t they look like they’ve been together forever? After about 30 minutes we took them down to the water. 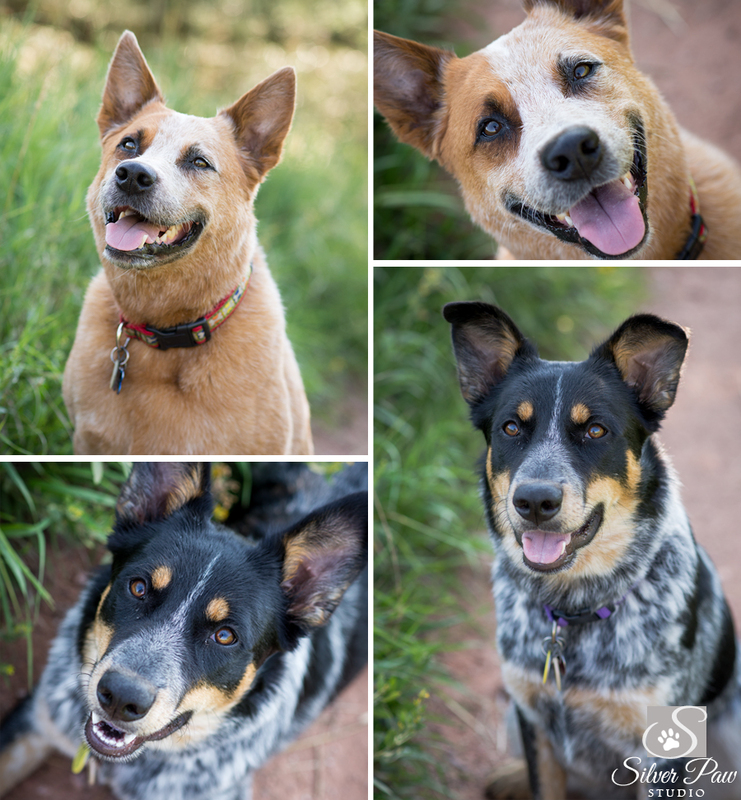 These two cattle dogs love their playtime! Tennis balls, water, mud, and grass flew all around. Their adorable friends “the minis” joined in the fun too. 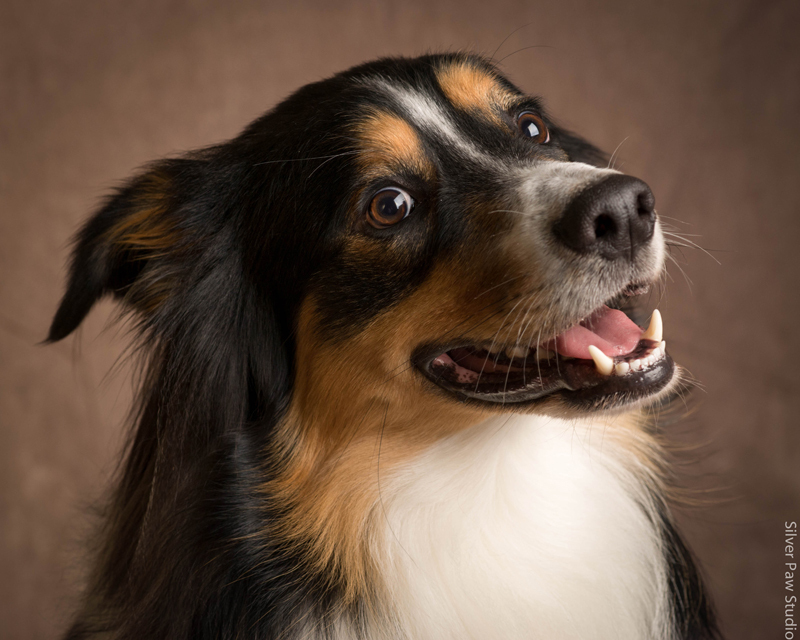 Faith and Kenna are miniature Australian shepherds who regularly meet up with Diego and Daisy for playtime. I had a blast sitting in the grass photographing all the antics. I’m pretty sure the four of them had a fun time also. Diego and Daisy are livin’ the good life with a devoted pet parent. Anisha is the proud mom of Diego and Daisy and a good friend of mine. This summer she begins school at Colorado State University (CSU) in the Veterinary program! In a few short years we will all be addressing her as Dr. Anisha. So exciting! Thanks everyone for an entertaining day at the park! 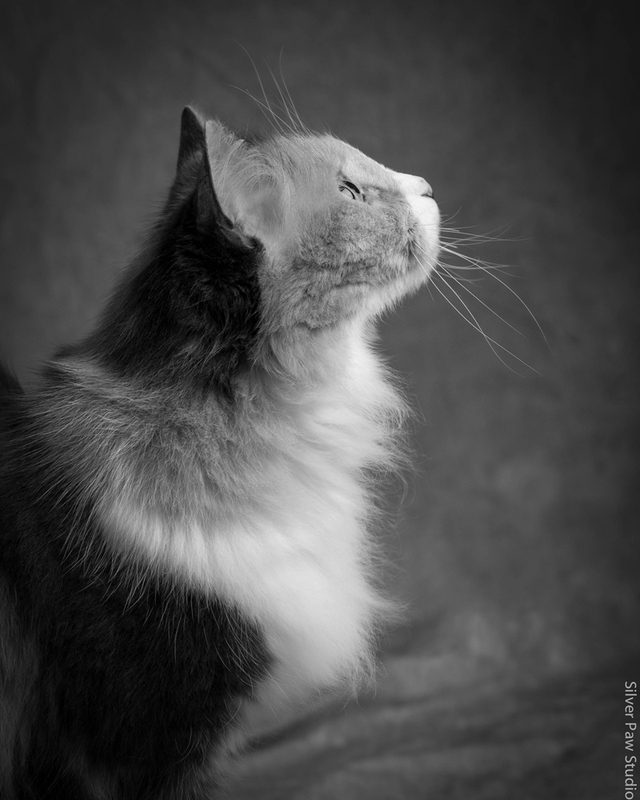 PS: They have a little kitty sister that I will be photographing soon too. Be sure to keep an eye on the blog or make it easy on yourself and sign up for my email newsletters here and never miss a story. 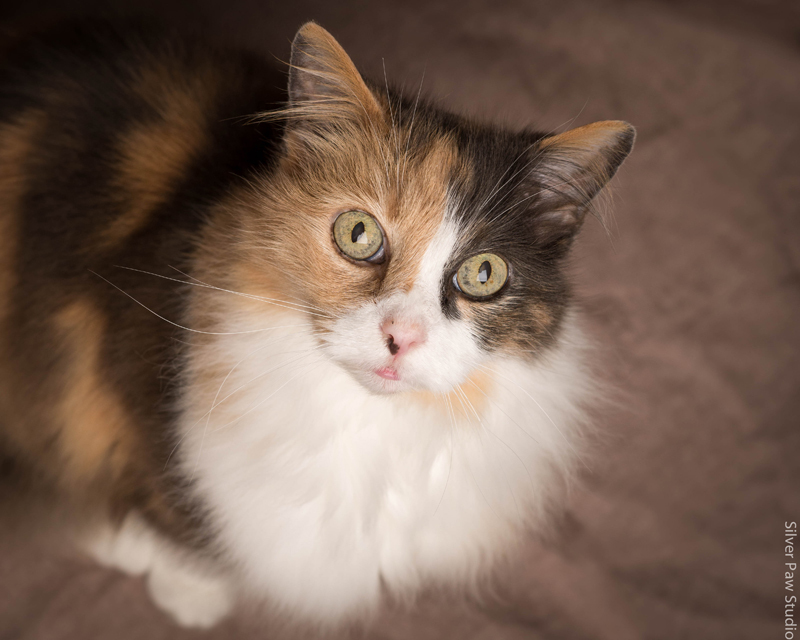 On a hot summer day the last thing you want to do is take a young dog and elderly cat outside to be photographed! Luckily for Podrick and Aislinn, we set up the studio in the comfort of their home. Liana & Sherman graciously invited me to their house to photograph their pets. 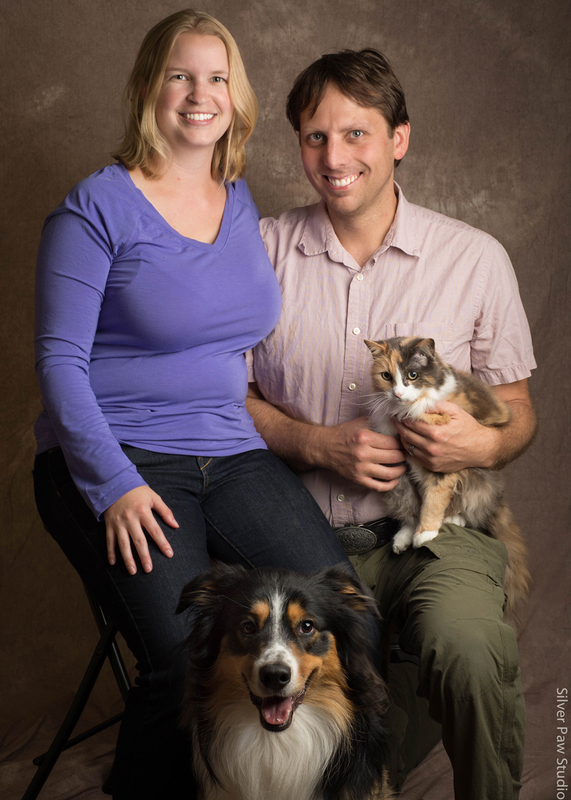 We even surprised Sherman with a family photo! 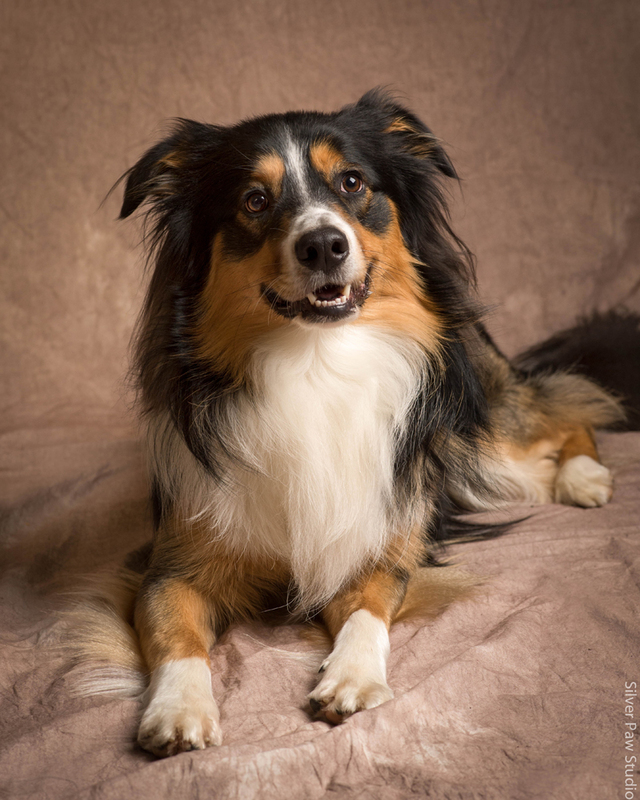 Podrick is a young, active English Shepherd. From the moment I walked in he curiously sniffed out all my equipment, if he could talk he may have even offered to help set up! It only took a few minutes to set up and soon Podrick was munching on his favorite treats and posing handsomely for the camera. Aislinn strolled in after her nap to check out her new surroundings. Since the living room had been transformed into a studio she made sure everything met her approval. She checked around behind the backdrop and generally criss-crossed the scene. Look at the images below and guess her age. Did you guess 17 years? I didn’t either! We took it slowly with her, letting her wander in and out of the studio. We broke out her favorite treats, which she actually loved! By the time we moved on to a whole family photo she started to tell us she was about done. I managed to take a couple family portraits before Aislinn called it a wrap. The whole session from set up to everything back in the car took only an hour. You may know Liana from her business Sidehill Sitters. 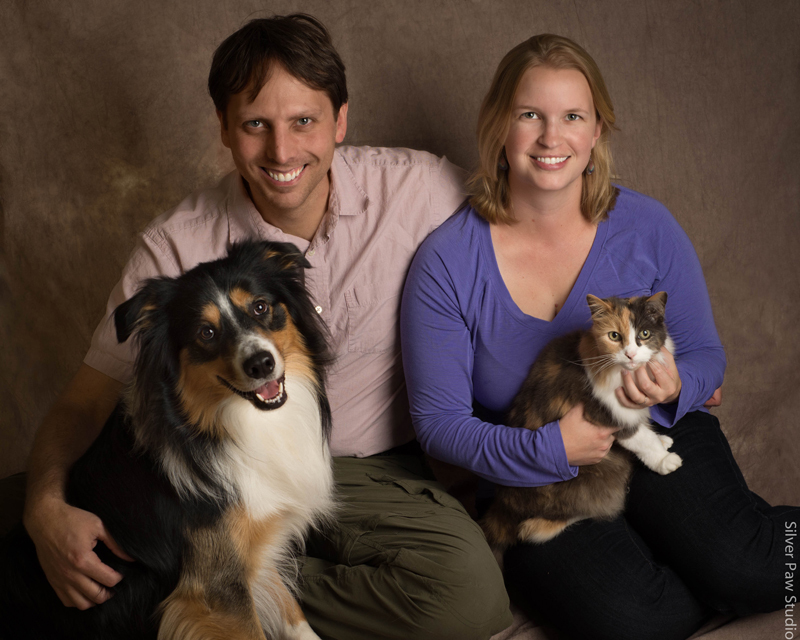 They provide quality pet care for the Fort Collins and Loveland, Colorado areas. Services include pet sitting, dog walking, hospice visits and poop scooping. 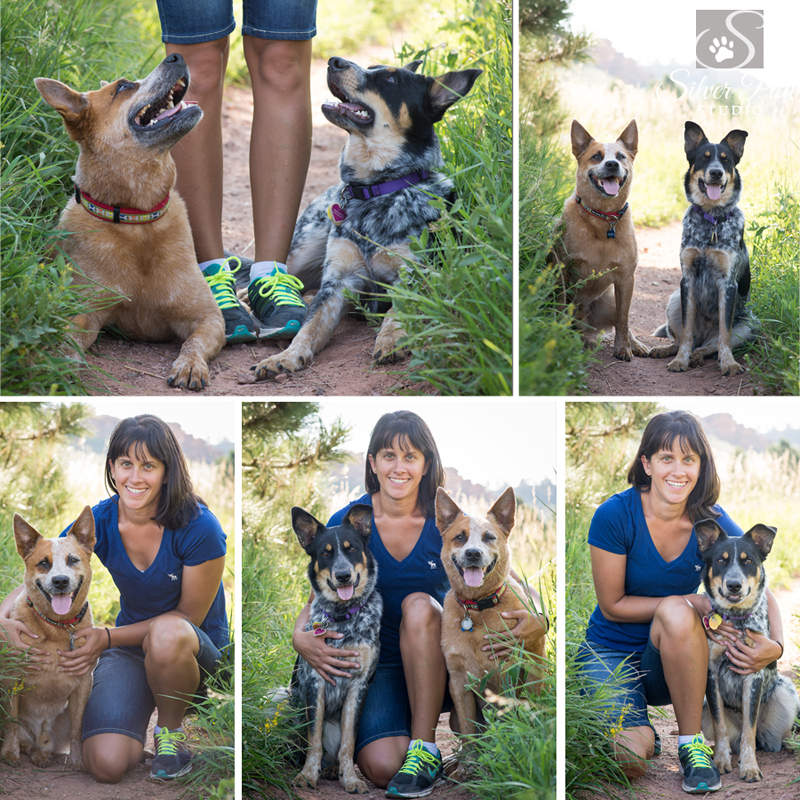 Liana is a graduate of Colorado State University (CSU) with degrees in biology and zoology, she teaches pet CPR, is certified by the National Association for Professional Pet Sitters and has extensive volunteer experience. Let’s just say she knows animals! 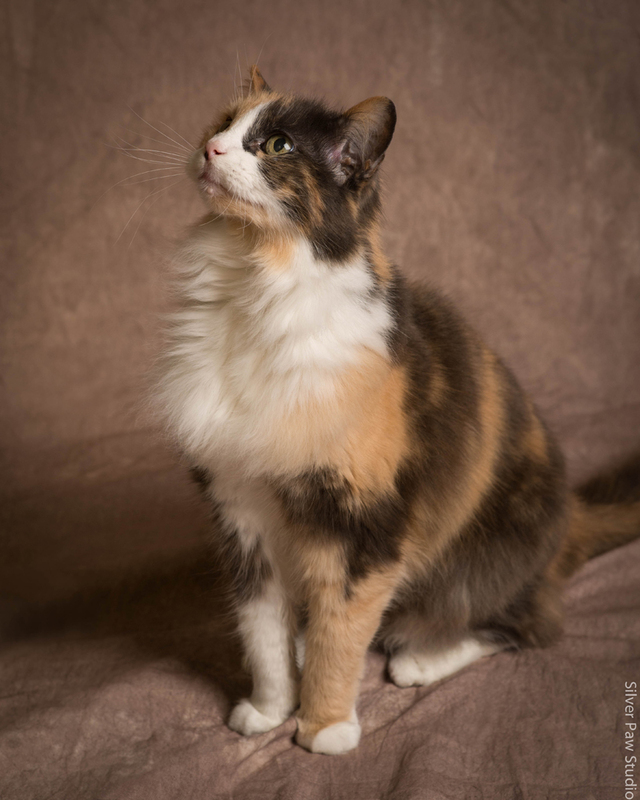 A big Thank You to Liana and Sherman for inviting me to photograph their delightful pets! Welcome to Silver Paw Studio! 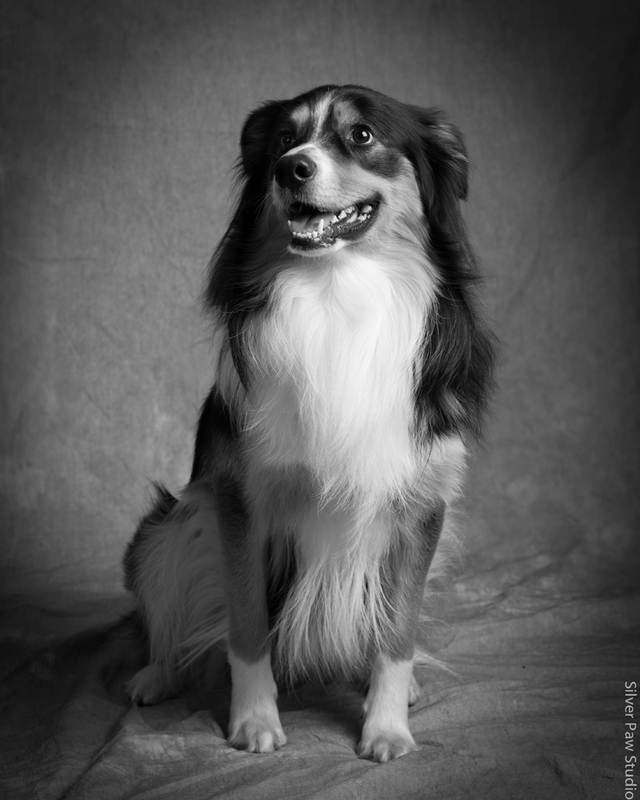 I specialize in on-location and studio pet photography. Although located in Fort Collins, Colorado I am available to travel locally around Northern Colorado to Loveland, Greeley, Cheyenne. Two to three times per year I travel to Grand Junction, Colorado and Moab, Utah. Once to twice a year I travel to the Portland, Oregon area. So if you need pet portraits (dog, cat, bunny, horse, etc) in any of these areas please call me! If you are looking for a new furry family member I post images of adoptable dogs from Animal House Rescue & Grooming every Thursday on the Silver Paw Studio Facebook and Instagram pages. I look forward to meeting you and your animal companions!